This interactive editorial piece was part of a series of interactive content for Discover Credit Cards, aimed at connecting with their audience in a unique, engaging way. 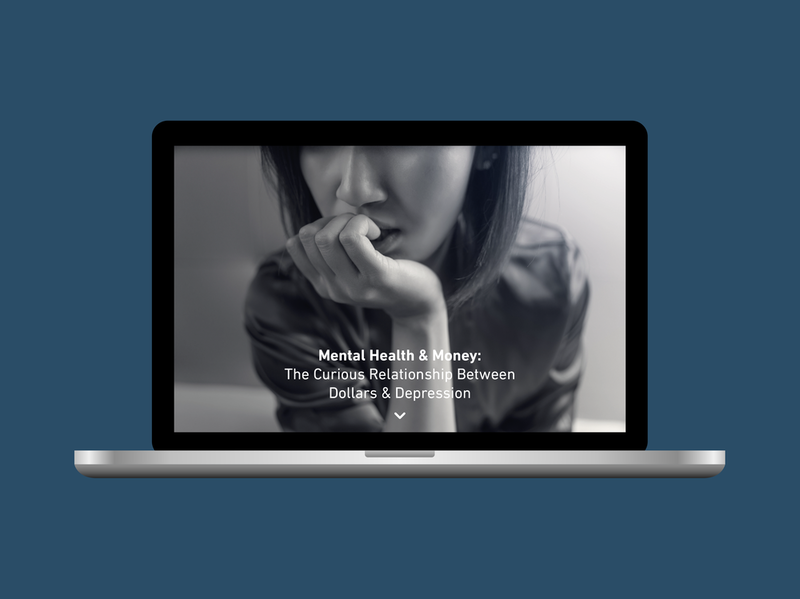 Looking at the connection between money and mental health, this long-form editorial piece examines the growing research suggesting a strong link between depression and how much money we have. Fully responsive, this interactive features beautiful scrolling effects, photography, a floating navigation and animated data visualisation, all helping to tell the story in a more visual, engaging way.